Costa Rica is known for a vacation spot, but how are the freedoms? Costa Rica, unlike its neighbors, ranks an 18 on the Press Freedom Score where 0 is the best and 100 is the worst (Freedom House). Costa Rica is considered one of the freest Central American countries when it comes to free speech and free press; however, they have taken a lot of criticism because of libel laws which are considered to be extremely outdated (Country Watch). Their current laws include defamation and libel, as well as injury. Costa Rica has a constitutional democracy and is located in the Central America and Caribbean region. Costa Rica is well known for being a tourist location, as well as having great hospitality. With a population of now 4,755,234 people, Costa Rica has become a great beacon for their neighboring countries to look at for guidance. However, one big influence on films, plays, and television shows is the Costa Rican Office of Censorship, which rate these arts and can ultimately prohibit showings; these decisions are subject to appeal just like any other government decisions(US Department of State). 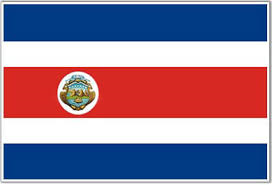 In the past years, Costa Rica has fallen on some hard times in the context of free press issues, such as the cybercrime law in November 2012. Costa Rica’s cybercrime law states that any person to publish “secret political information” can be sentenced to 10 years imprisonment. It was resolved shortly after being made, by specifying that this law does not apply to journalists(Reporters without Borders). This law, which at first created an uproar because journalists felt restricted, appears to support Costa Rica’s commitment to having a free press. Costa Rica had a problem with inaccessible public information, even when it was concerning an issue of public interest, such as companies and individuals who’d received warnings for not paying minimum wage to employees in fall of 2010. It was resolved when Costa Rica’s Constitutional Chamber of the Supreme Court ordered the Ministry of Labor to furnish a list of such individuals to El Financiero, a periodical newspaper located in San José. This improved Costa Rica’s stance on free press, allowing the press information on public interest issues as part of reporting on pertinent issues(Inter-American Commission on Human Rights). In Ulloa v. Costa Rica, Mr. Mauricio Herrera Ulloa was convicted of criminal defamation and forced to pay a fine, and entered into the Judiciary’s Record of Convicted Felons. The case was about articles in “La Nacion”, a Costa Rican daily newspaper, about allegations of Mr. Felix Przedborski who was a diplomat of Costa Rica. The allegations were of his involvement in a Belgium political corruption scandal; however, the articles released evidence and statements favorable of Przedborski, as stated by the criminal court. But, the Supreme Court found otherwise and reinstated the criminal defamation charges. Therefore he, as well as La Nacion, were fined, convicted, and forced to remove the articles from the Internet, in a judgment announced November 12, 1999(Case of Herrera-Ulloa). However, the Inter-American Court of Human Rights stepped in and admonished the Costa Rican government to nullify the judgment made November 12, 1999, pay Mr. Mauricio Herrera Ulloa $20,000 USD for non-pecuniary damages, and $10,000 USD for his legal expenses. This was an extraordinary problem, which seemed to have set back the free press until the Inter-American Court of Human Rights stepped in and helped Costa Rica improve free press environments(Reporters without Borders). Costa Rica has made a comeback from the Ulloa case in recent years. On May 3rd, 2013 they hosted the 20th Annual World Press Freedom Day in San Jose. People were invited from all over the world to participate in panels, ceremonies, and workshops to assess global press freedom. It was also a time to honor the journalists who had been hurt, imprisoned, or killed for the work they do(Reidy). On March 21, 2014, Costa Rica was said to have had surveillance on journalists’ phone records. However, it turns out it was officials who had been criticized in some articles, and wondered how they had found out about things they were writing about. The Supreme Court ruled in the Diario Extra case that surveillance of journalists’ phone records is unconstitutional because targeting journalists who write articles criticizing agencies is their right, just as it is their right and duty to keep their informants secret if the informant so wishes(International Press Institute). Costa Rica has not had as many problems with free speech. One is “The Last Temptation of Christ” issue, which was a controversial film banned by the Office of Censorship in 1989. It was banned because it was declared by the Catholic Church to be morally offensive because it gave the impression Jesus only married Mary because he was weak, such as the U.S. Catholic Church declared it(Dart). The ban was overturned in November 1989, rescinded in 1990, brought to the Supreme Court where they affirmed the rescinded ban; however, it then went to the Inter-American Court of Human Rights where they demanded it be overturned, which it was(US Department of State). A more dangerous and brutal issue of suppressed speech was the Dundee Ranch Academy, a boot camp/boarding school in Costa Rica owned by an American. American students were enrolled and sent to live there when they became “troubled teenagers”, and were abused physically and mentally. They were forced to be “incommunicado”, meaning no contact with almost anyone. When parents and Costa Rican authorities learned of the academy they shut it down after former student told them what was going on. Public officials told students at the school of their rights which was followed by riots, the school shutting down, and various statements by students of the abuse(Fields-Meyer). Another free speech issue was the case of James Watson who was prevented by the Board of Governors of the University of Costa Rica from giving a speech at a conference because he previously made statements which were discriminatory against minorities. On March 29, 2011, the Constitutional Chamber of Costa Rica found that such a prevention threatened freedom of expression along with a violation of academic freedom. Ultimately, this improved free speech environment for Costa Rica because it showed that you cannot silence people’s opinions, no matter how discriminatory they are(Inter-American Commission on Human Rights). Another free speech problem that occurred sometime in 2012 Costa Rican Catholic radio station aired 14 broadcasts about opposing vitro fertilization. The Office of Censorship in Costa Rica, however, stopped the broadcasts. Sala Cuarta, the highest court in Costa Rica ruled that the Office of Censorship cannot stop them from broadcasting their opinions. This ruling impacted Costa Rica showing that censorship will not be tolerated on public issues, even when imposed by the Office of Censorship(Lopez). Freedoms in Costa Rica and the U.S. are similar in the fact that they both believe in free speech and free press. Though the issues listed before may seem to make Costa Rica less free than the U.S., it’s always helpful to remember the U.S. had similar problems as the government was trying to create a free press and free speech environment. Costa Rica has, as the U.S. has, made libel to include the “actual malice” standard. In the U.S. this comes from the Sullivan case where they decided that malice cannot be assumed but must be proven. Though Costa Rica is a different country, the comparisons between rulings there and rulings in the United States are not so different. Costa Rica resolving the cybercrime law uproar by announcing journalists’ immunity from it is much like New York Times v. United States in 1971 when newspapers published contents of classified historical Vietnam policy study. The United States claimed it was classified and sensitive, however, the Supreme Court ruled in favor of New York Times because the government could not prove its harm to national security. As long as the Costa Rican secrets which are getting out are not too sensitive, the U.S. would have handled it the same way. The ordered release of public information which is in the public’s interest in Costa Rica would have been decided the same way in the United States. In National Archives and Records Administration v. Favish, in which a lawyer investigating possible fraud was found dead, his pictures were not being released by the government because of his family’s privacy and they claimed the photos were of a much too graphic nature. The court ruled all but 4 pictures could be released due to public interest. In Ulloa v. Costa Rica, where Ulloa was convicted of criminal defamation for saying things about a public official, the U.S. would have handled it better than getting to a point where the Inter-American Court of Human Rights had to step in. Such as New York Times v. Sullivan, a 1964 libel case in which Sullivan, a public official, claimed the editorial advertisement which never named him specifically, was clearly about him because it mentioned offices which he had control over. The Supreme Court decided to reverse and remand the case, because the court found the Alabama law to assume falsity and malice, as well as several damages, was “constitutionally deficient” because it did not provide a safe environment for free speech or press. In the case of surveillance of journalists’ phone records being found unconstitutional, the U.S. would have given the same verdict. Klayman v. Obama which was decided in 2013 was a case which the National Security Agency had a massive collection of telephone records of private American citizens. A federal judge ruled that it is likely to violate the U.S. constitution, therefore unconstitutional, because of the fourth amendment which makes unreasonable searches and seizures against the law. The ban on “The Last Temptation of Christ” would not have happened in the United States after 1952, when Joseph Burstyn, Inc. v. Wilson was decided. Burstyn v. Wilson was a case that overturned the previous case of Mutual Film Corporation v. Industrial Commission of Ohio, in which the court found motion pictures were not art thus not covered by the First Amendment, so could be banned. In Wilson they decided that the “sacrilegious” standard of banning a movie if it appears to be sacrilegious, goes against the First and Fourteenth Amendments. Therefore, motion pictures were found to be protected by free speech. Clearly, such a case would set precedent for “The Last Temptation of Christ” issue, had it come up in the United States. When Costa Rica decided to rule in favor of James Watson giving his speech at a convention even though he had made discriminatory statements in the past, it was the epitome of what would have happened in the United States. In Snyder v. Phelps, Phelps was sued for intentional emotional distress, among other things, and pleaded freedom of speech, under the first amendment, for horrid things said at a picket during Snyder’s son’s funeral. The court ruled in favor of Phelps on March 2, 2011 because he was speaking on matters of public concern. Given these cases that may not be mirrored cases but have the same underlying meanings, Costa Rica may have some kinks to work out of their court systems, but they are working on it and not far from the United States in improving their free speech, free press environment. For one of the freest countries in Latin America, they are leading a revolution of change in free press and free speech, especially by hosting the 20th Annual World Press Freedom Day Convention. Case of Herrera-Ulloa. Case of Herrera-Ulloa v. Costa Rica. Inter-American Court of Human Rights. Judgement of July 2, 2004. CitedCountry Watch. Costa Rica. Web. 20 March 2014. Fields-Meyer, Thomas. Boot Camp Backlash. Web. 21 March, 2014. Freedom House. Costa Rica, Freedom of the Press. Web. 20 March 2014. Dart, John. Church Declares “Last Temptation” Morally Offensive. Web. 22 March 2014. Inter-American Commission on Human Rights. Annual Report 2011. V II. Pg 66.
International Press Institute. Costa Rican Court Rules Surveillance of Journalist is unconstitutional. Web. 20 March 2014. Lopez, Jaime. Constitutional hall: Religious Speech is Free Speech in Costa Rica. Costa Rica Star. Web. 22 March 2014. Reidy, Padraig. Journalists’ Safety Key Focus for World Press Freedom Day. Xindex. Web. 20 March 2014. Reporters without Borders. New Costa Rican Cybercrime Law will not apply to Journalists. Web. 21 March 2014. US Department of State. Country Report on Human Rights Practices, Costa Rica. Web. 22 March 2014.